Protesters marked near the White House when Pres. Donald Trump announced a military ban of transgender people. Charlie Charles, sergeant with the Army National Guard, has big plans for her life. At 32 she wants to make the military a career. She also wants to undergo a gender change. Therein lays a conundrum for the woman who has already spent eight years with the military. Recently she found out that a life in the military means she can’t go through with her plans for a gender change. At issue is a recent Supreme Court decision that favors a ban on transgender individuals serving in the military. Concern over the ban came to a head last July when Pres. Donald Trump revived an issue that his previous two predecessors had attempted to resolve. That resulted in several court cases being filed and it eventually landed in the Supreme Court where the justices recently voted 5-4 to let the ban stand. 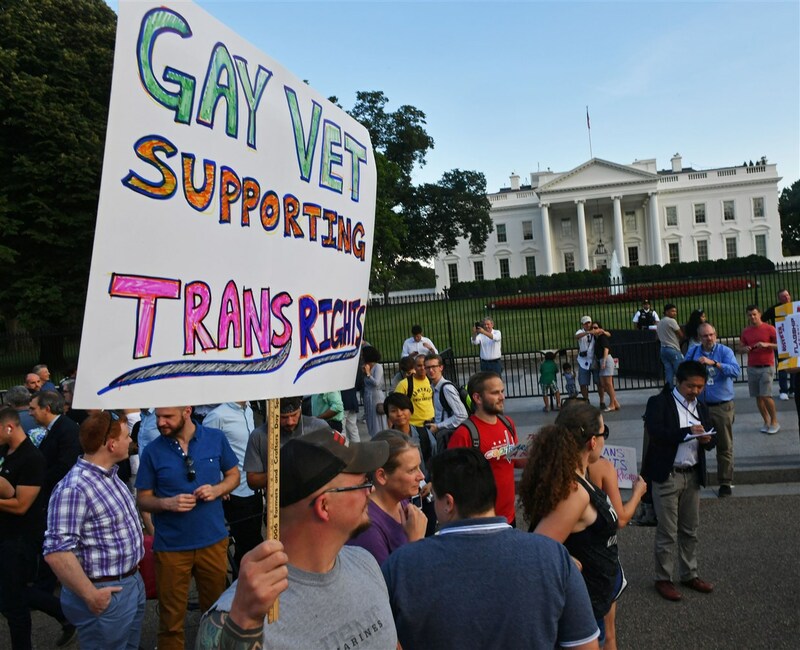 The reaction was swift from the transgender community, many insisting that they should be able to enlist regardless of the gender they choose. The ban has an indirect effect on almost 10,000 individuals as well. Transgender who are actively serving in the military who want to undergo a gender reassignment surgery and or hormones will be disqualified due to the inability to be deployed for longer than 12 months. Parents and Friends of Lesbians and Gays is the largest LGBTQ advocacy organization in the nation, working to advance laws for the protection of the LGBTQ people. Chris Sands, secretary of the organization’s Tallahassee chapter, defended the argument of transgender people who want to serve. Lower courts across the country are still examining the ban and the legal challenges before it goes into full effect. There is a general consensus that the Department of Defense is willing to waive different cases with some restrictions. 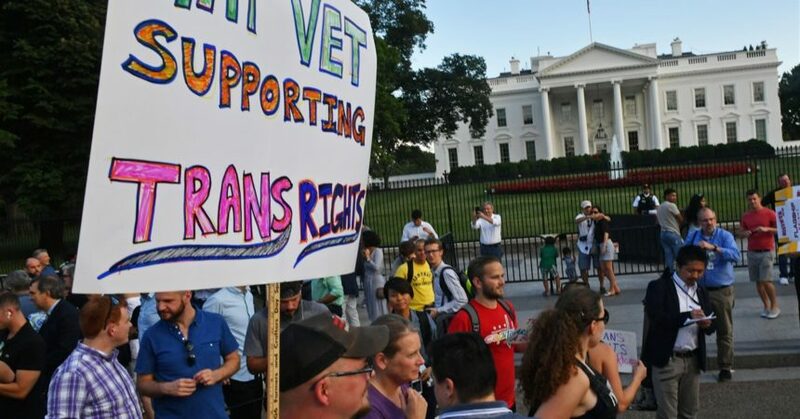 Although members of the Transgender community are being excluded by the ban, service members diagnosed with “gender dysphasia” after joining the military are allowed to remain enlisted. Gender dysphasia is a condition that makes a person experiences discomfort or distress because there is a mismatch between their biological gender identities. It is also known as a gender identity disorder. In 1993 former president Bill Clinton introduced the term “Don’t Ask, Don’t tell” a policy which allowed servicemen and servicewomen to serve in the military if they did not speak of their sexual orientation. Clinton’s intention to end the stigma around homosexuals in the armed forces essentially crippled their freedom to be openly gay or lesbian. Under this law, service members were not only limited to discussing their sexual orientation but additionally, commanding officers were not allowed to question service members’ sexuality. “Don’t ask, Don’t tell” was intended to be a liberating policy that allowed homosexuals to serve in the military. Instead, it forced many individuals into secrecy. In 2016 there were around 8,980 transgender service members. During Barack Obama’s administration, there were 937 service members diagnosed with gender dysphasia. Obama ended the “Don’t ask, Don’t tell” policy in 2010. Essentially it allowed progression for the LGBTQ community. The latest ban is a setback, Sands said. “I thought we were moving forward, as far as the military is concerned for who is allowed to join and who can serve their country freely,” Charles said.